Choose from hundreds of prepared desserts, custom gelatos and sorbets, specialty oils & vinegars, soups, artisan cheese, breads, baked goods, handmade ravioli, hors d'ouevres, and gourmet baking supplies. We offer many unique food items for both executive chefs and coffee shops. 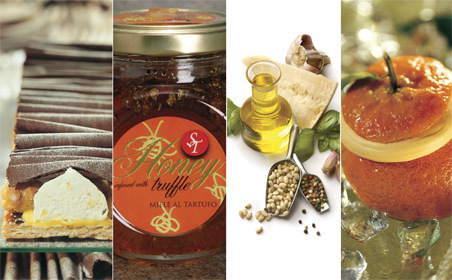 Elegant Foods is also a source for local Wisconsin products.